Let’s face it: Angela Bassett is a bombshell and has been for many years. Her arms are toned and her abs are tight, and she is a beautiful soul (actively supporting numerous charitable causes, including UNICEF and the Royal Theater Boys & Girls Club in St. Petersburg, Florida). But unlike Stella — one of the actor's most infamous roles — Bassett has never needed to get her “groove back” because she has had it all along, and a recent photo that she took on her 60th (60th!) birthday proves it. Of course, people on Twitter absolutely lost their minds (and TBH, we kinda did too) because Bassett appears to be ageless. She's glowing, confident, gorgeous. Seriously, what is happening right now? We're in awe. Angela Bassett doesn't look good for her age, she looks good period. However, we think the most stunning thing about Bassett's new picture isn't her body, it's her eyes. You can totally see that glimmer of pure happiness shining through as she makes eye contact with the camera, and it's totally inspiring to the rest of us. Whatever she's having, well, we'll have a little bit of that, too. 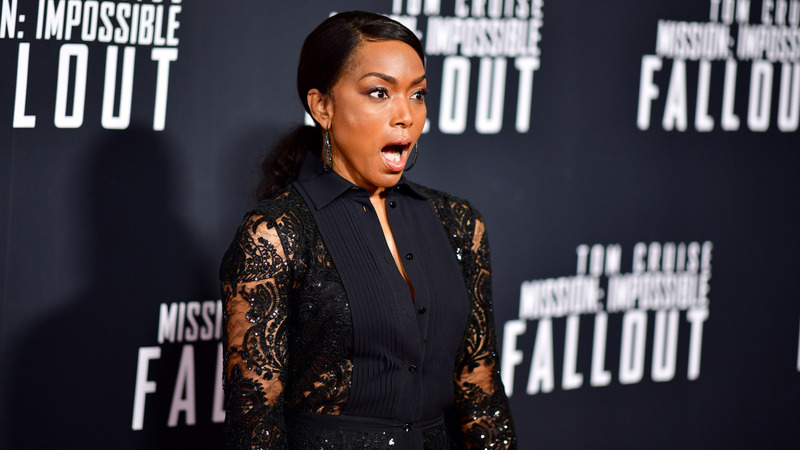 That said, this isn't the first time the Mission: Impossible – Fallout star has flaunted her envy-worthy figure on social media. In May, Bassett posted a photo of herself in a black bathing suit with a sultry cutout that showed off her toned figure. A few days earlier, the actor struck a saucy pose while rocking some white cutoffs. Just one look at Bassett's 60th birthday photo and these photos from May, and we're already looking up gym memberships and anti-aging serums because she is officially beauty and fitness goals. Whatever Bassett is doing, she definitely should keep doing it because she's proving that age is truly nothing but a number.